Could your business benefit from replacing cardboard packaging with reusable plastic boxes? Replacing cardboard with reusable plastic boxes can provide multiple benefits to most businesses, helping them to save money, improve handling efficiencies and reduce their carbon footprint. This article examines how manufacturing, retail, logistics or service operation involved in the storage, handling, and distribution of products and components can reap both financial and environmental rewards by switching from disposable cardboard packaging to reusable plastic boxes, tote boxes, trays, and large plastic containers. Although initially more expensive than cardboard, the longevity and reusable nature of plastic storage boxes mean that they can pay for themselves many times over. The scale of cost savings is determined by their use – the more you use them, the more you save. When replacing disposable transit packaging, returnable storage boxes, confectionary trays, and plastic bulk containers usually have a payback period of between six and 18 months and, with a life expectancy in excess of seven years, this results in substantial cost savings. This calculation includes the added cost of returning the plastic crates to the source. How space efficient are tote boxes? Many plastic distribution boxes nest or fold to save space when empty. Examples include plastic produce trays with stacking bars that allow the trays to stack when full and nest when empty, nesting and stackable storage crates that are simply turned through 180o to locate the stack or nested position and storage boxes with lids which include integral hinged lids that can be secured with tamper-evident seals. Our foldable storage box safely stacks when loaded and nest by around 70% to save valuable space on the return journey. But aren’t cardboard boxes just easier? For many businesses, it is the additional logistics complexity of managing the fleet of returnable plastic boxes that deter them from making the transition from cardboard to reusable plastic. Ensuring that your plastic containers are in the right place at the right time is a key issue that needs to be addressed. Software and specialist “asset management” providers are available to help you to control your container fleet, while many 3PLs (third-party logistics contractors) can provide a complete service. Do tote boxes save my business money? Users of returnable plastic crates are able to factor in additional cost savings through a reduction in packaging sundries, such as the tape used to assemble cardboard boxes and stretch-wrap used to secure boxes on pallets. Plastic containers often come with either drop-on or attached lids and safely stack when palletised, speeding up handling operations and further reducing packaging costs. Returnable tote boxes are more carbon efficient than single- trip cardboard and are 100% recyclable. The reusable nature of plastic containers ensure that they have a lower carbon footprint than single-use transit packaging after around just 20 trips. The recycled Totebox Ecototes range has an even lower environmental impact as no new material is used. Reusable crates also help users to adhere to the legislative requirements of the Packaging Waste Directive which advocates that packaging should be minimised and designed for recovery and re-use. There are also a number of health and safety benefits that can be attributed to plastic boxes. Comfortable ergonomically positioned hand-holds help to reduce back injuries and there are no staples or fixings which could injure personnel or contaminate contents. Cardboard packaging often needs to be opened with a knife, presenting a safety risk to personnel while also risking damaging the contents or its primary merchandising packaging. 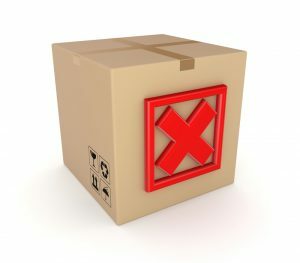 Why should I avoid cardboard packaging? Cardboard generates large amounts of dust which can cause raspatory issues and can penetrate machinery, adhering to oiled or greased components, which then require increased maintenance. It also absorbs moisture, which increases its weight and reduces its structural strength – making stacked loaded cardboard boxes liable to collapse. Plastic heavy-duty storage boxes, plastic returnable crates, and plastic bulk containers all feature smooth surfaces that promote hygiene and protect contents from damage, securely stack when loaded, can be reused hundreds of times and are 100% recyclable at the end of their long working lives. Totebox offers cost and environmental savings with the new Ecototes range of recycled cratesStack, Nest or Fold? A Guide to Selecting the Right Container.